Hi! I’m Natalie. 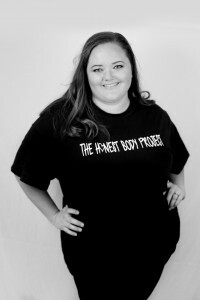 I run a photography business and also am the founder of The Honest Body Project. If you aren’t familiar with it—check it out here! I love photography and love using it to give others the gift of memories. Even as a child I loved photography and it has been an amazing journey since I began my business. I live in Rockledge, FL with my beautiful little family. My husband and I have two wonderful children.. a nine year old daughter and four year old son. We also have some furry kids that complete our family. I have lived in Brevard County my whole life. Last year I began my project because I wanted to do something to help women see the beauty in themselves. I specialize in maternity portraits, which I refer to as my Ethereal Maternity. I love to be creative with images and give them a sense of beauty, light and wonder. I would love to create these portraits for you. Thank you for considering me as your photographer. I look forward to capturing your memories!